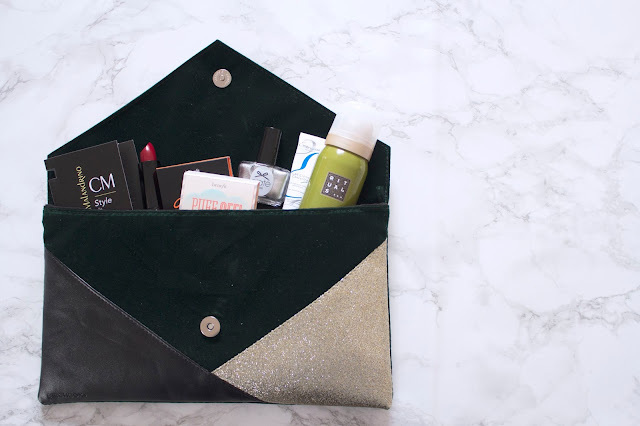 This month's Birchbox, or Birch-BAG is super exciting as you also get a really cute clutch bag! 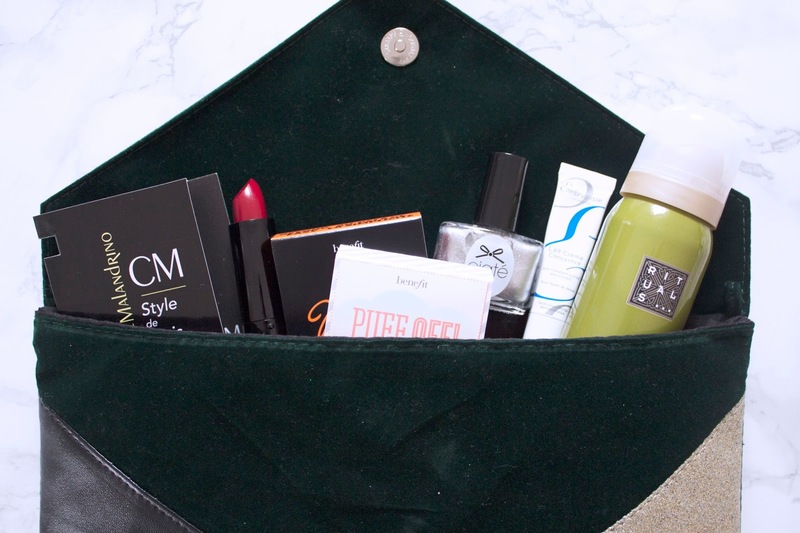 It's a beautiful green suede, with leather and glitter details. The perfect accessory for a Christmas party! This months package is a good one, I have wanted to try the Embryolisse Lait-Creme Concentre for ages so I was really happy to receive it this month. This is amazing for dry skin and prepping the skin for foundation without making it cling to dry patches! Also in the bag is a ModelCo lipstick in a stunning deep red shade, these are my favourite kinds of red lipsticks to wear as they tend to suit me more. I also love getting Benefit goodies in my Birchbox and this month, you get TWO! You get the Puff Off and They're Real Liner! What do you think of this months box (bag)?